The battle of barrio Santa Anita began on the morning of the 24th of February. 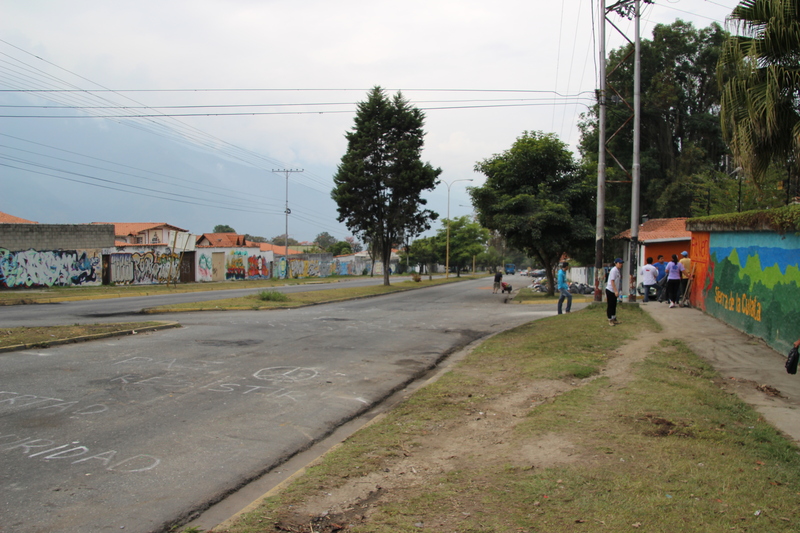 We awoke to find a seven foot tall barricade blocking the only entrance to the barrio, along with the main road outside. 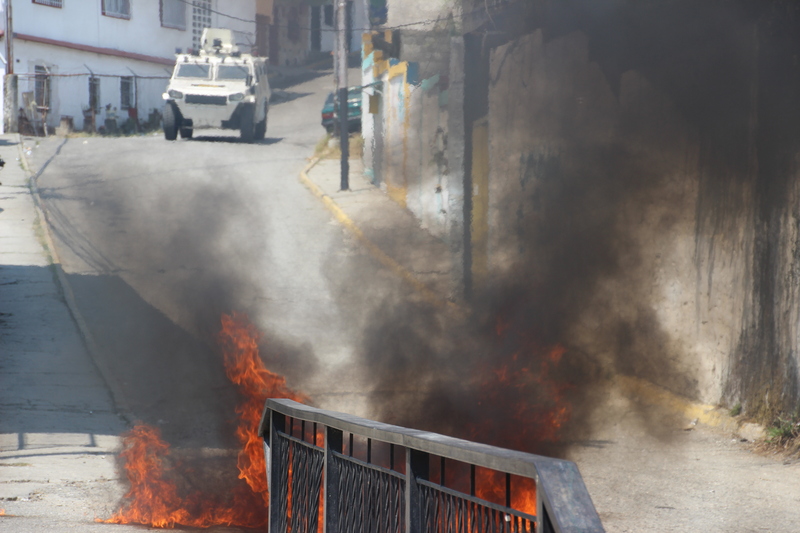 During the course of the day opposition groups clashed with the military in a street by street battle though the barrio. 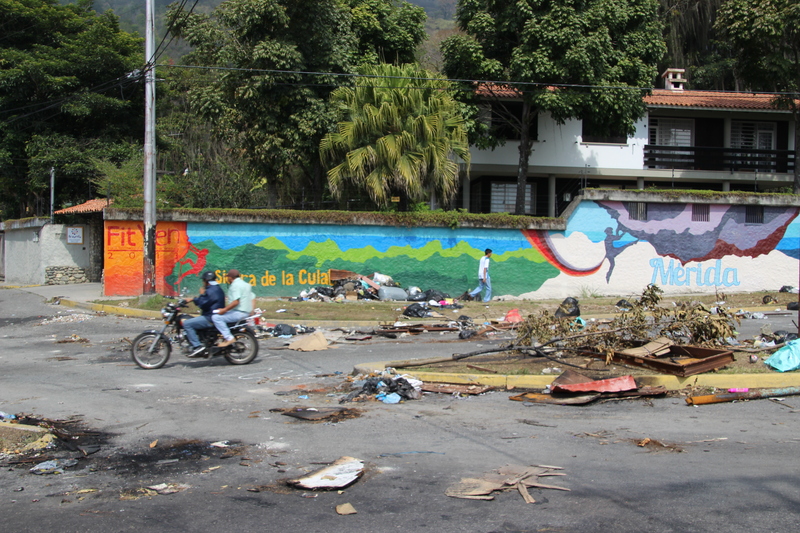 A detailed account is available at Venezuelanalysis. 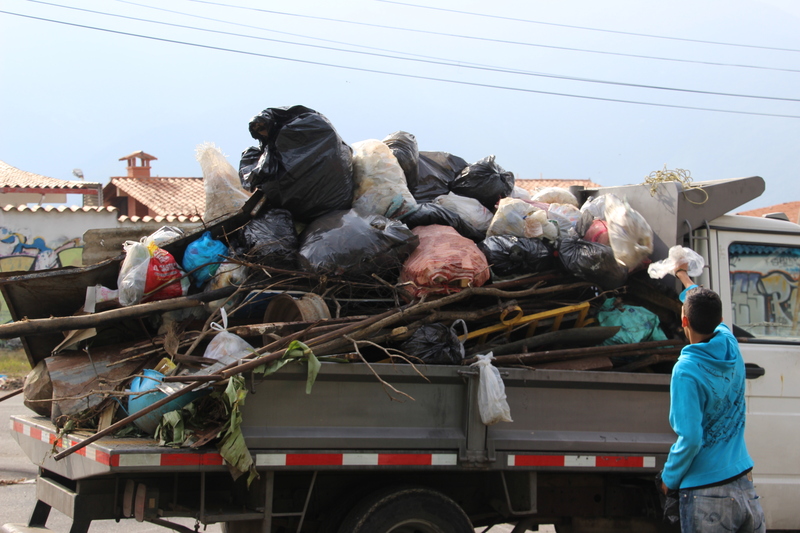 One of the barricades on the morning of the 24th. 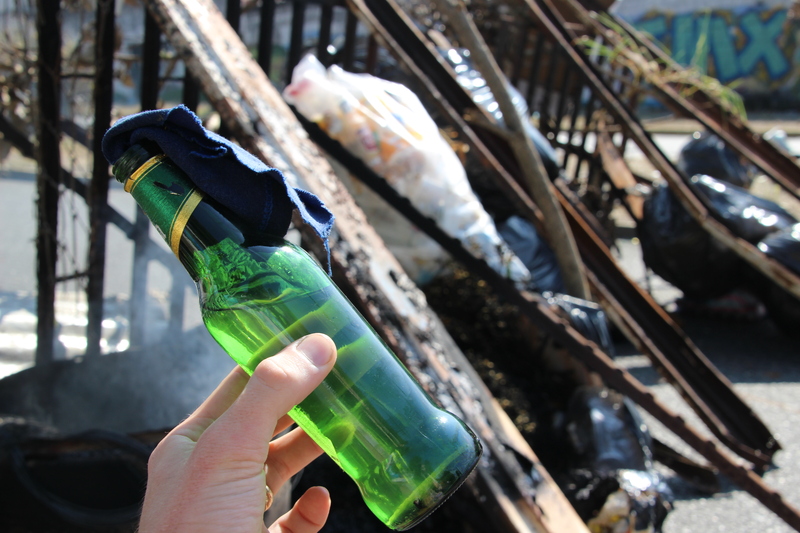 The barricaders were siphoning petrol out of vehicles left on the street to fill molotovs like this one, found near some fortifications. 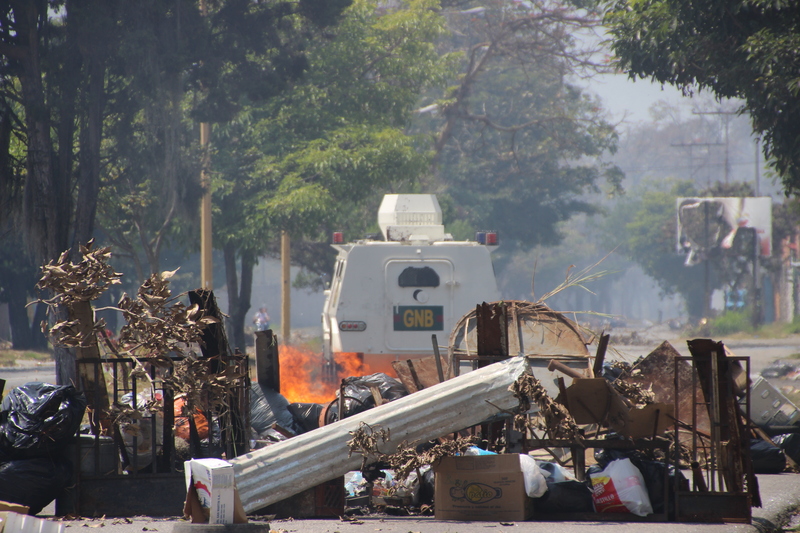 The national guard used the armoured vehicle to ram through the barricade, and were immediately attacked from all sides with molotovs, rocks and chunks of concrete. 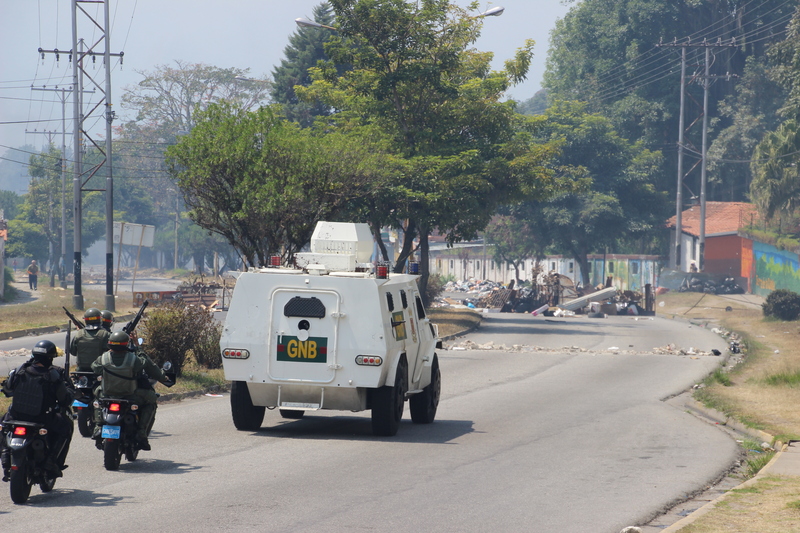 While the armoured vehicle easily crushed other layers of barricades, it pretty much just rolled over this line. 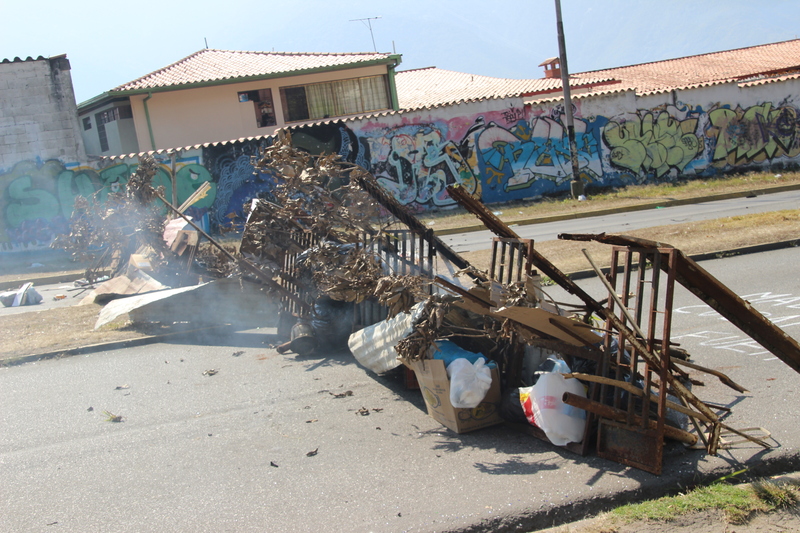 Opposition groups dumped fuel on the road, and set it alight. The main road the next day. 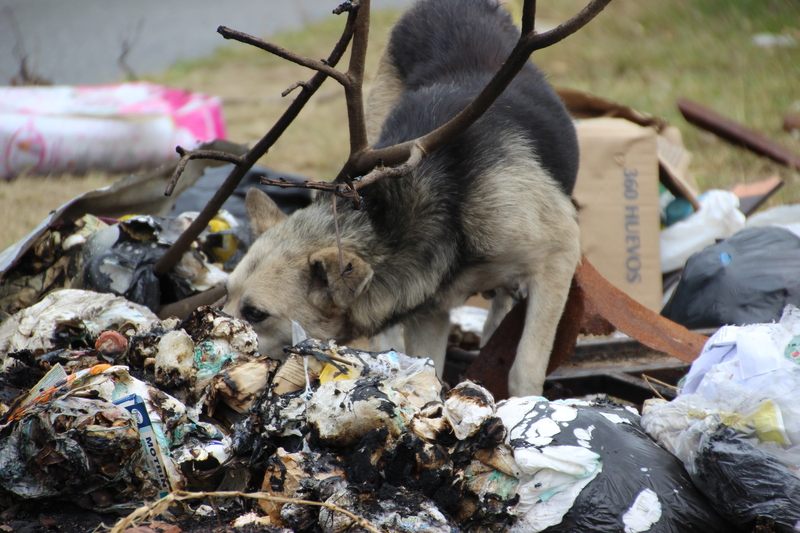 A stray dog moved into the mess, feeding on the trash. 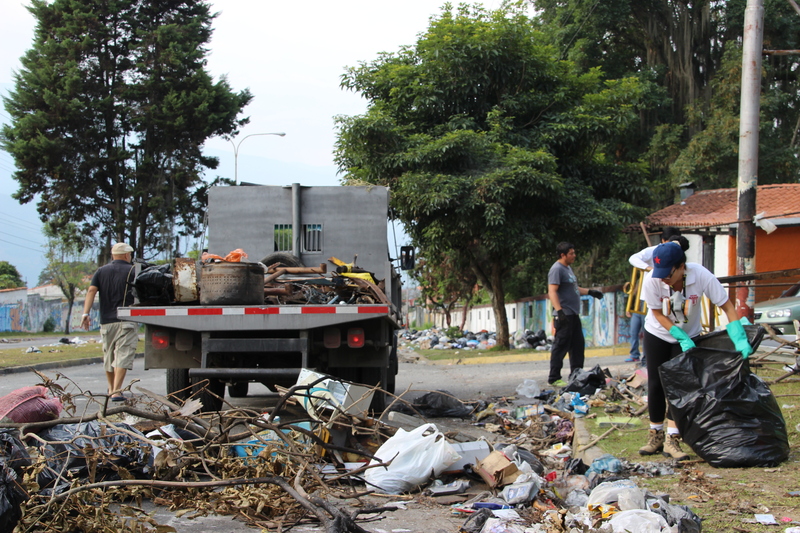 After days of the garbage being abandoned by the opposition, some Chavistas got sick of the smell and came out to clean the mess. 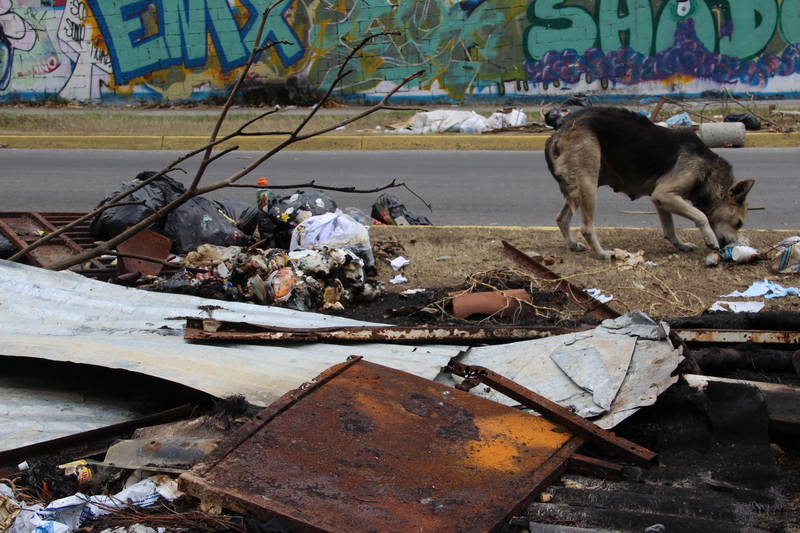 This is the only entrance to the barrio, meaning that everyone had to pass this stinking remnants of the garbage barricade to get to their homes. 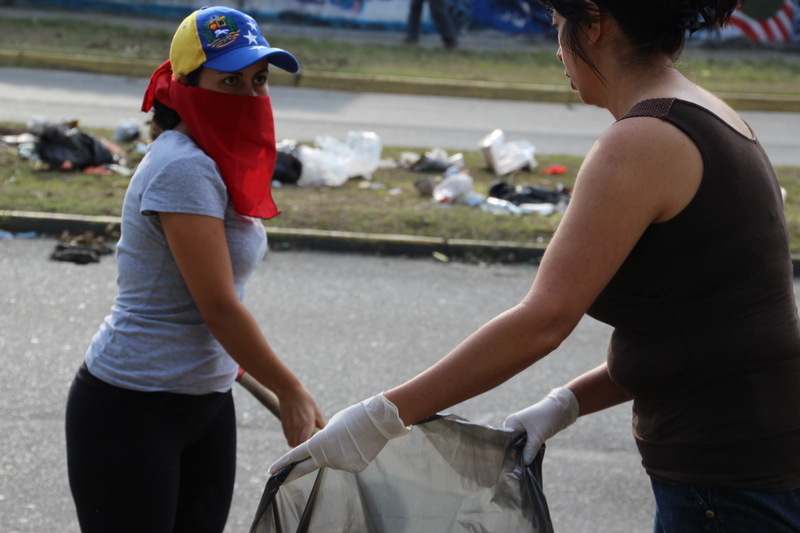 Opposition supporters shouted abuse at the Chavistas for cleaning the mess. The road after two days of cleaning. 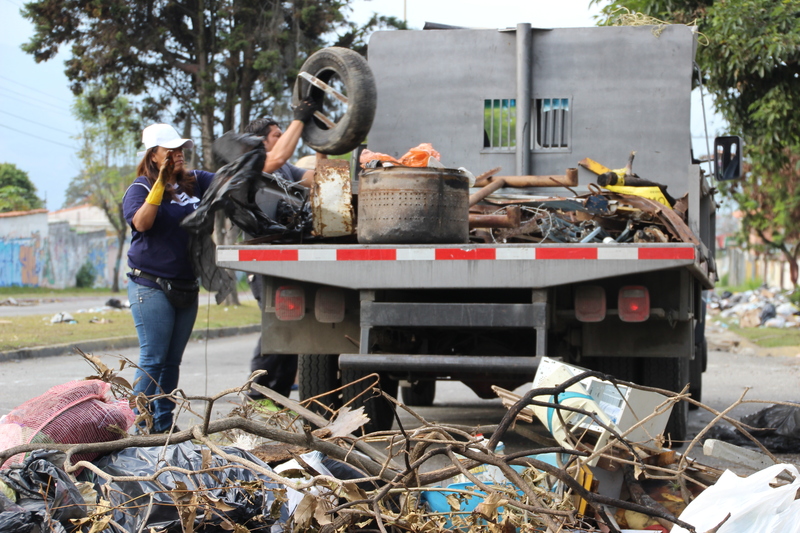 After days being left in the tropical sun, the garbage smelt like rotting corpses. Walking through it everyday was sickening. 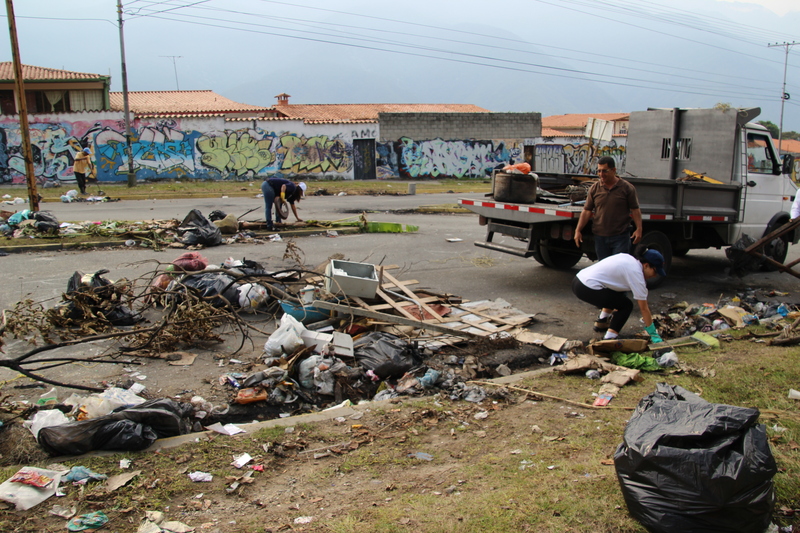 Cleaning it, however, felt like a small act of resistance against the thugs that have taken over the streets.